As we recently pointed out, kids are still being forced to munch down yummy pink slime meat in their school lunches. However, as we also pointed out, this isn’t a new issue. Pink slime has been in our kids food for years, but no one, not the government nor parents, have taken any action steps to stop this. Isn’t it time we demanded better for our kids? Jamie Oliver was one of the first celebrities to bring the pink slime issue to light, in his awesome series Food Revolution. Now, in a more substantial effort to educate and activate people across the country as well as halt the use of gross pink slime meat, Jamie and his team have built a website dedicated to stopping pink slime use cold. In case you missed it, Jamie featured pink slime on his show Food Revolution and the video is above. 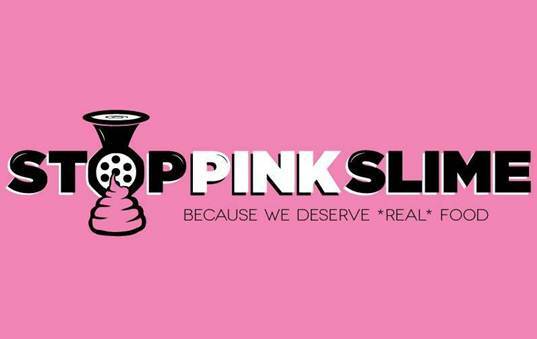 Jamie’s new site, Stop Pink Slime offers parents and other consumers a real way to voice their concerns about pink slime, tell others about their concerns and sign a petition to hopefully create some change. At Stop Pink Slime you should sign a petition that’s going to be sent to the USDA, telling them to stop buying and using meat containing pink slime in the National School Lunch Program. 244,995 and counting have signed already, so you’re in good company. The site also offers easy links to tweet this issue or share on Facebook. You can also take a moment to read news articles about pink slime. As we recently pointed out, kids are still being forced to munch down yummy pink slime meat in their school lunches. However, as we also pointed out, this isn't a new issue. Pink slime has been in our kids food for years, but no one, not the government nor parents, have taken any action steps to stop this. Isn't it time we demanded better for our kids? Jamie Oliver was one of the first celebrities to bring the pink slime issue to light, in his awesome series Food Revolution. Now, in a more substantial effort to educate and activate people across the country as well as halt the use of gross pink slime meat, Jamie and his team have built a website dedicated to stopping pink slime use cold.